Learn the art of table setting for both formal and informal setting for FREE. 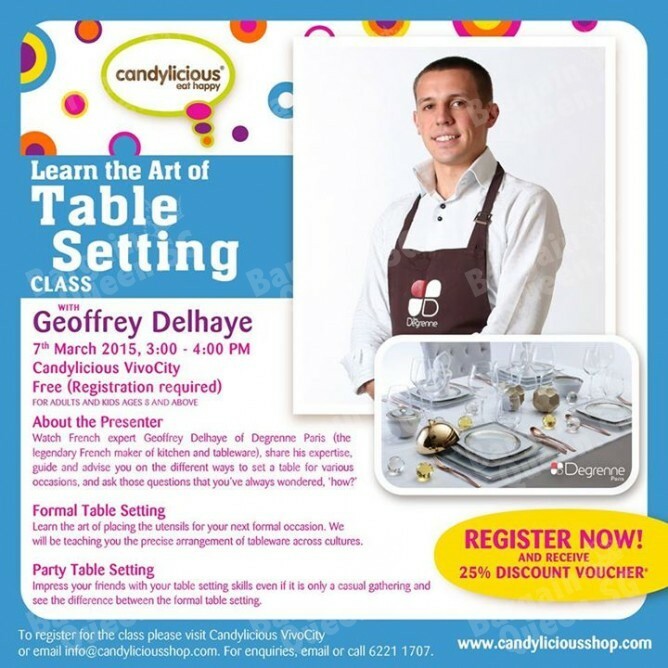 This class will teach you the precise arrangement of tableware and make sure your guests will be impressed in your next party! Registration is required. Learn the art of placing the utensils for your next formal occasion. They will be teaching you the precise arrangement of tableware across cultures. Impress your friends with your table setting skills even if it is only a casual gathering and see the difference between the formal table setting.